Did you know that 64% of shoppers are visiting social media platforms to get inspired and find gift ideas? The leading inspirational social media networks during the Holidays are Facebook and Pinterest, and probably that is a reason why brands start producing content with might and main during the holiday season. - Update your logos - add festive attributes (do not forget that it should be combined with your cover image). - Or even turn your landing page into a gift card for your clients. #12 Days of something. The idea can be implemented in every type of content mentioned here. 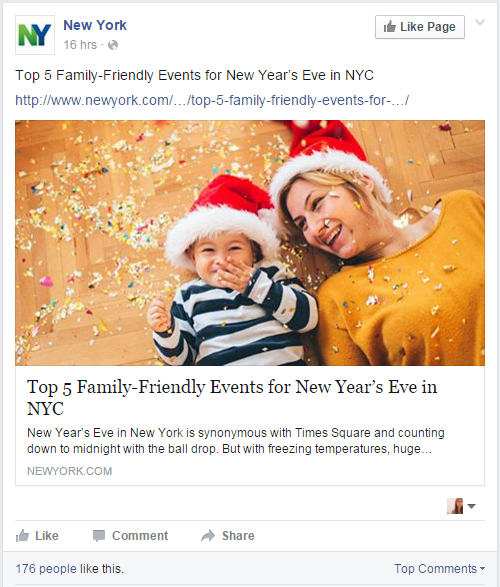 Create a series of holiday tips posts on a similar theme to your brand. For example, a company selling paintings will get profit from publishing a series of "How to decorate home for Christmas" posts. Remember to hashtag your marketing campaign! DIY. Try to guess, what are the most searchable How Tos during the Holidays? Right. Show you followers how to do a Christmas trees and toys from scrap materials, how to decorate home, how to wrap gifts, etc. Christmas and New Year Eve ideas. Do not limit your fans with two-three tips; create an exhaustive list of 50-100 ideas for celebration. Are you B2B? Awesome, create a list of ideas for office managers and see how it fuzzes. Recipe posts. Even if your business isn't connected anyhow/in any way with the food industry, the Holidays is a great time to tap into the personal side of your business and show there're real people behind your brand who love good food as much as your followers do. Contest ideas. Publish a post with contest ideas everyone can easily implement. Ask for your fans' opinion, what contest should be the most effective in your community. Run it (you audience is already engaged) and share results. Boom! Best Photo Tips. There are so many contests on the web during the Holidays; most of them encourage followers to share photos with hashtags. The winner is selected randomly or by the amount of upvotes (that's exactly what we need). Analyze winners of photo contests and create infographics on creating a photo that wins. The Santa's Brand Book. We were too serious in previous ideas. The Holidays are the time for fun. Create a brand book for your company (or just a set of illustrations) if Santa was a CEO. Holiday themed videos. People are very visually oriented, so photos and videos are more likely to capture their attention. Create a holiday themed video to boost it on Facebook (0.022 cpv) and promote on YouTube (0.07 cpv). Movie your product. If you believe, your product could be a great gift, than show it in a holiday themed video and promote it on YouTube. The results depend on a quality of a video and its clear CTA. Up to 10% of views can convert into your website visitors. Video chat. 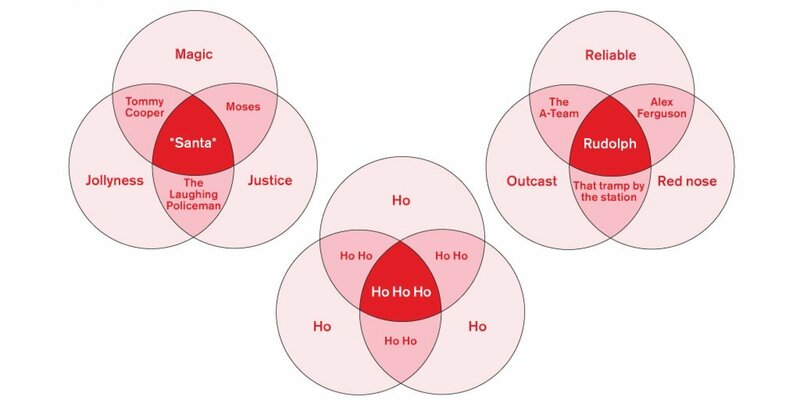 The Holidays is the perfect time to drift together with your users, clients, customers, followers... anyone. Hold a video chat with your followers or even hold an online party using Google Hangouts or any other tool available on the web. Collection of holiday videos. If you have enough time and resources and your aim is to get more subscribers, then pay attention to the Lego's case: to get more followers on their Facebook Page, they featured a collection of holiday YouTube videos. Focus on emotions. Publish your video early. Use a strong call to action. Holiday themed boards on Pinterest. Next year's trends and tendencies. 'Caption This!'. This type of posts perform the best results in the holiday season. It will not take a lot of time to find a funny and odd image based around opening presents, cooking the holiday meal, playing in the snow, etc. If you like, you could even motivate your users to take 'Caption This!' photos and run a contest. A game that lets users activate their webcams to 'play their stripes' as part of a GAP partnership with musician Blood Orange. Essay contest. Organic reach and engagement. Without any doubts, images are a most engaging type of content. But what about texts? On Facebook, 1000 - 1500 characters posts get the highest organic reach. Ask you followers to write a short holiday themed essay with an attached image and, just like in vote contest, invite friends to vote for the best story with likes or shares. Where would you like to be over the New Year's Eve? Organic reach and engagement. For most of people the Holidays is a great source of inspiration. Ask you followers where they would like to meet a New Year and tag a friend in their answer to pass the baton. Choose a winner randomly. Reach a certain number of followers. Followers growth. Reward your "Nth" follower with a themed prize. Run sweepstakes on Facebook. One of the simplest campaigns you can run. It's easy for both a busy marketer to launch and a busy prospect or a fan to enter. At the same time, a sweepstakes' effectiveness can be poor if your aim is engagement. Use the sweepstakes to grow your fan base and reach a large audience. The last comment in the year. Engagement. 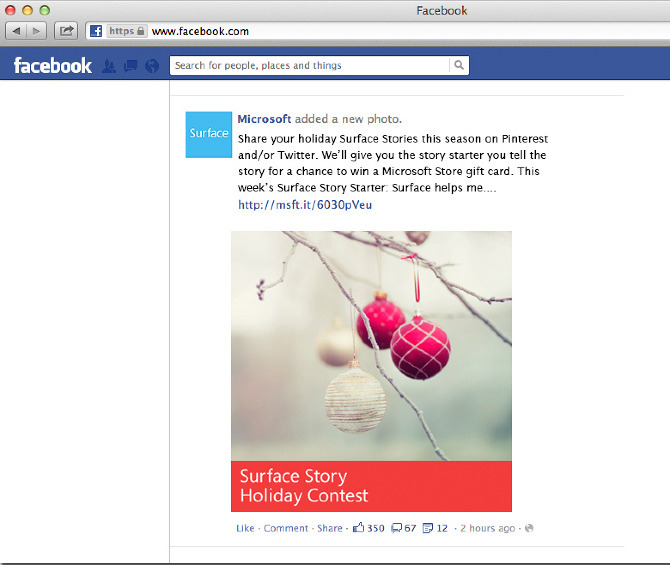 Use this old-fashioned trick to provoke your fans and increase your Facebook page's engagement during the Holidays. Create one publication and encourage users to leave comments under it. The author of the comment that will be last in the year will receive a prize from you. Wish come true contest. Organic reach and followers growth. The Holidays is a time to share wishes. 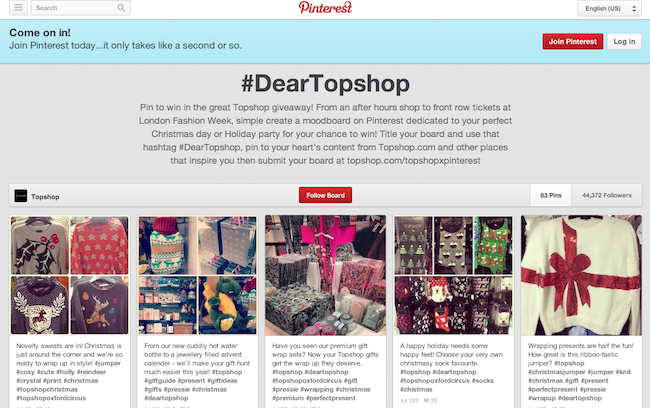 A great example of a successful contest is #DearTopshop, in which users could win various prizes by pinning Topshop items to their boards, brands can secure not only hefty amounts of traffic to their social sites, but also garner loyal followers and even customers. Pin it to win it. In a previous case the prizes where themed, but random. Run a contest, in which users can win your brand's items by pinning them to their boards. Coupons and group coupons. Create an additional page on your web site and offer your followers a coupon for a mailing address. To double results, encourage people to invite friends who will enter their mailing addresses too to help you to unlock a coupon. ... or ask fans to suggest someone to gift to. Letters to Santa. What questions would you ask Santa Claus if you had the chance? Guess the answer. 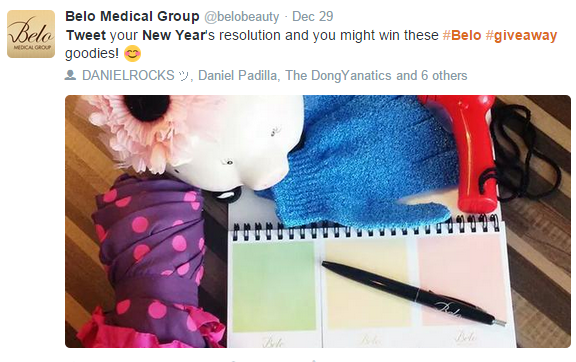 Why do some contests get engagement while other don't? The reason is not in a quality of a contest you run (but, of course, it plays a great role too), but in how your audience is already engaged and prepared for a contest. Entertain and provoke your followers to leave comments. Ask fun holiday themed questions 12 days in a row treating participant with prizes. Secret Santa and gift exchanges. Secret Santa can be a fun way to spice up your holiday social media marketing by encouraging your fans to exchange random gifts with each other. That could help you to build a strong community around your brand without spending a penny... but you'd better choose other platform (a lot of available on the web) than Facebook, Twitter, Pinterest, etc.. Remember that your followers should share their personal information like home addresses in order to receive gifts. A huge responsibility. However, you can still use social media networks to promote your exchange and rekindle fans' interest. This type of content is undeservedly forgotten when thinking about a content plan, but can be pretty effective though. Interviews. Interview people from your brand's sphere: ask about their plans on a new year, their recent achievements and things they regret they've done/haven't done. Hacks and tips. We've been already talking about various types of hacks and tips you can share with your followers in the very beginning. To stand out from a crowd, create short podcasts with a joyful Christmas music on the background instead of writing long text posts. Stories of your brand. Turn your corporate content into a podcast by sharing stories on how you get to a point where you're now, what the last year meant to your brand, and thank your followers and customers for everything they made for you. The year's top articles. Gather the top year's articles (30+ for Facebook) in your field into one post and mention their authors if possible. The best Holiday contests. Gather the best holiday contents available now in one post. Of course, this type of posts will draw traffic away from your page. The question you should answer before publishing it is whether organic reach can bring a greater benefit for you. Share your clients' feedback on items that are on sale during the Holidays. New Year's resolutions with a hashtag. Offer your followers to create their New Year's resolutions and share them with your hashtag. Repost the best resolutions to your pages. Results of a Twitter chat. "Last night we hosted an awesome pre-holiday chat! Click "Like" if you were there with us (or wish you were here!) for a chance to win our T-Shirt"
"Thank you" post. Social media is one of the fastest ways to reach your fans and thank them for being with you this year. Create a holiday photo album. Photo albums on Facebook actually get 180% more engagement than any other posts. Take advantage of them by creating albums with photos of your team, recent holiday activities, etc. Movie your team. Shoot and share videos on social media on which your team members will be talking about 5 good things that happened to them this year and their expectations for the coming year. How do you celebrate a New Year? If you have a strong community, let your followers know where you and your team members could be found on a New Year (or a pre-New Year corporate party). Party hard with your fans and gather photos into a photo album afterwards. Closed events. 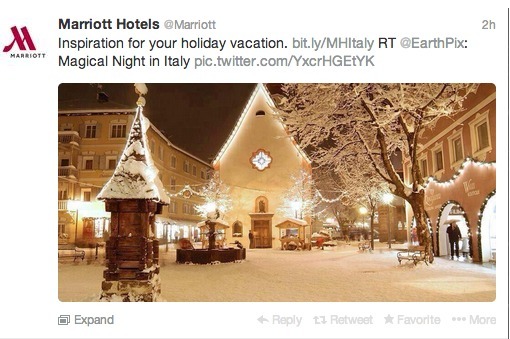 At the same time, the Holidays is a great time to thank your followers for their loyalty and trust to your brand. If possible, organize local events for your fans and share info about it on social media. A year of changes. Complete videos, photos or screenshots of how your product (or a team) has evolved over the past year, where you're now and where you want to be the next year. Virtual office tour. If your office is decorated for the holidays, then images of the office decor can be turned into engaging social media content. This will have an effect similar to that of employee feature content as it will help to develop the connection that people feel with your business. New Year's Resolution. If you have dedicated fans and engaged users among your followers, then they expect a lot from you. Write a resolution for a coming year and share it with them. Show your products. 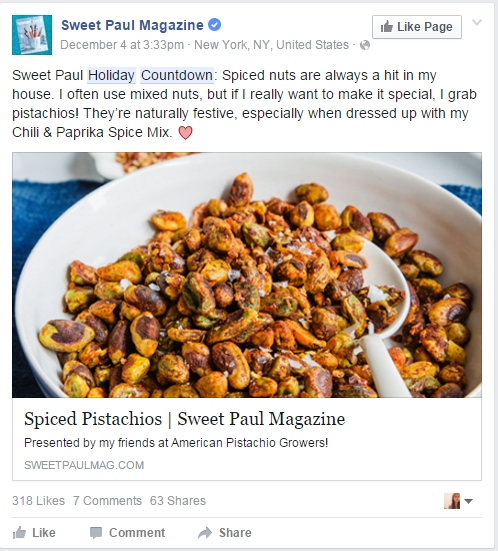 Reserve a place in your social media content plan to show your products that can be bought during the Holidays. You're interested in sales, aren't you? Special offers. Get in the holiday spirit by offering special products or services or products at a discount. Even if you're unable to attract many buyers in the beginning stages, your special offers can resonate with prospects when they hit the stores in December. Ask for retweets. Use RT asks in your holiday coupon and contest campaigns. Spell out "retweet", to get 23x's more engagement. 12 Days of Christmas Giveaways. Run giveaways every day to make people follow your news and engage in your other activities. Christmas Gift Guide. Create an illustrated gift guide and include your products into it. ... and run a big holiday sale! 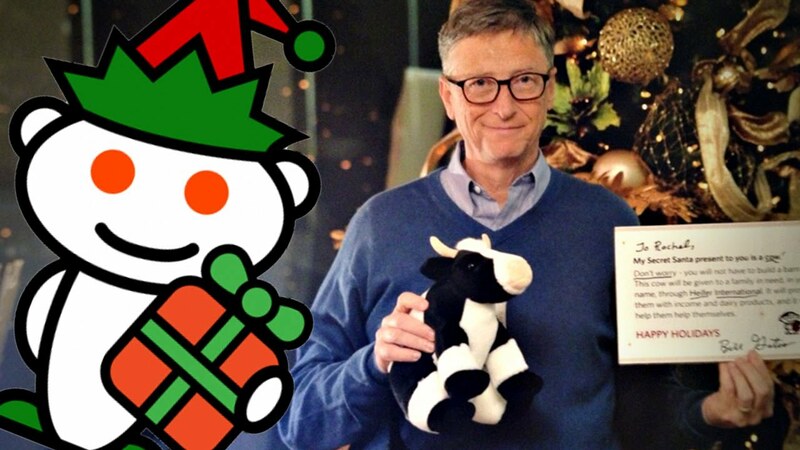 What is the most important, share the joy of Christmas and stay with your users till the end. Even if you are planning a trip to Thailand on the Holidays, keep publishing your content or just schedule it in advance.